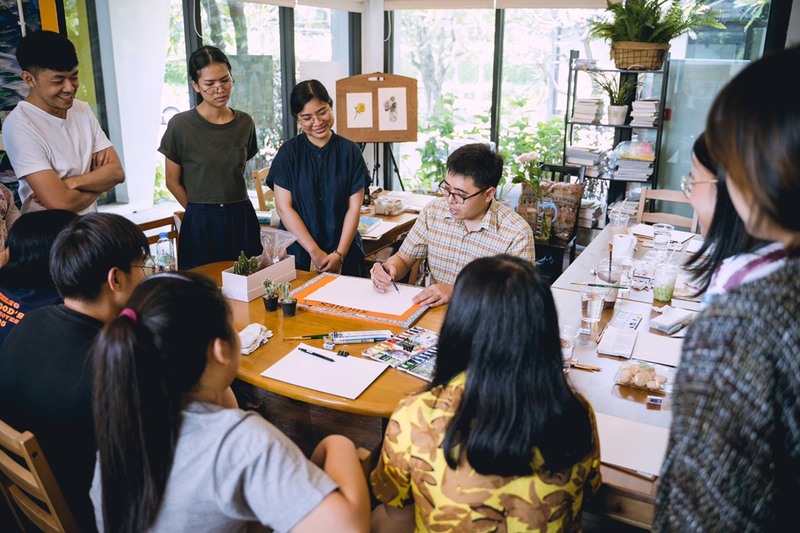 YNX Club Corner : Art Therapy Club [Every month in 2019 we will feature a different Yannix Employee Club] – Yannix(Thailand)Co.,Ltd. 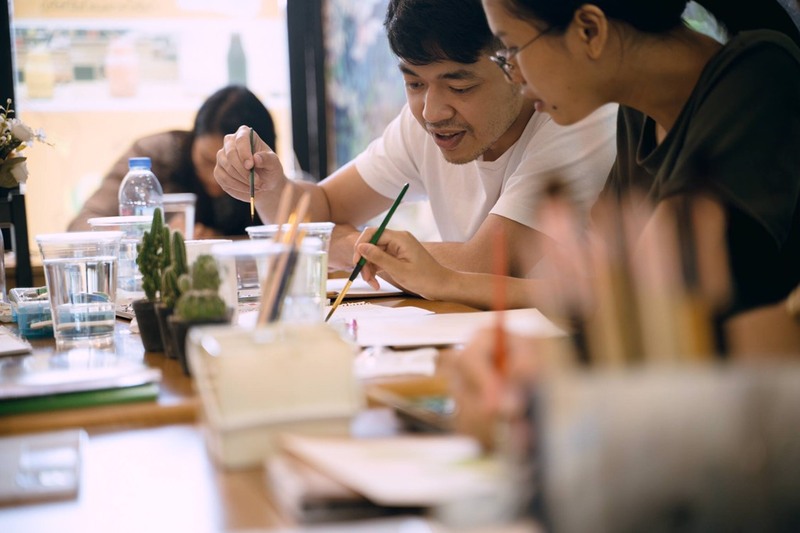 The YNX Art Therapy Club meets monthly so that its members can relax together and share their knowledge and passion for art. 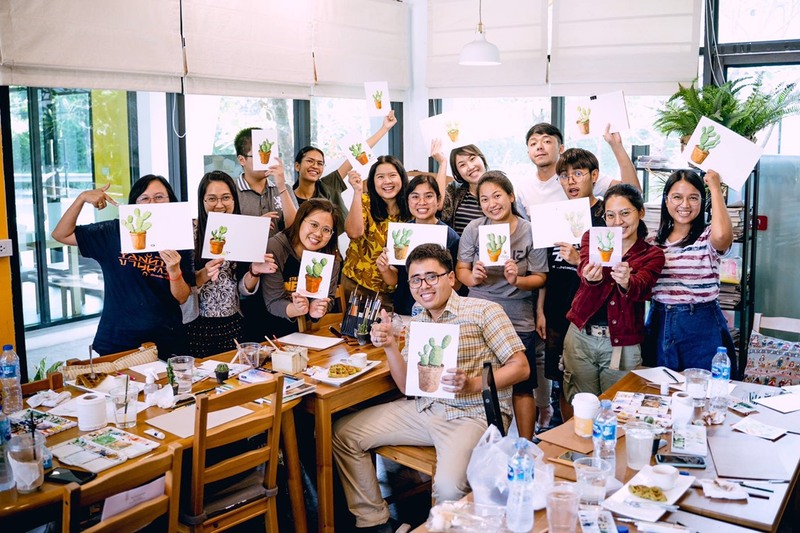 When Krittaya Khongnet and friends first formed the Art Therapy Club, they wanted to create an outlet where employees could get together, away from the pressures of their normal daily work routines, to share their experiences and love of art. 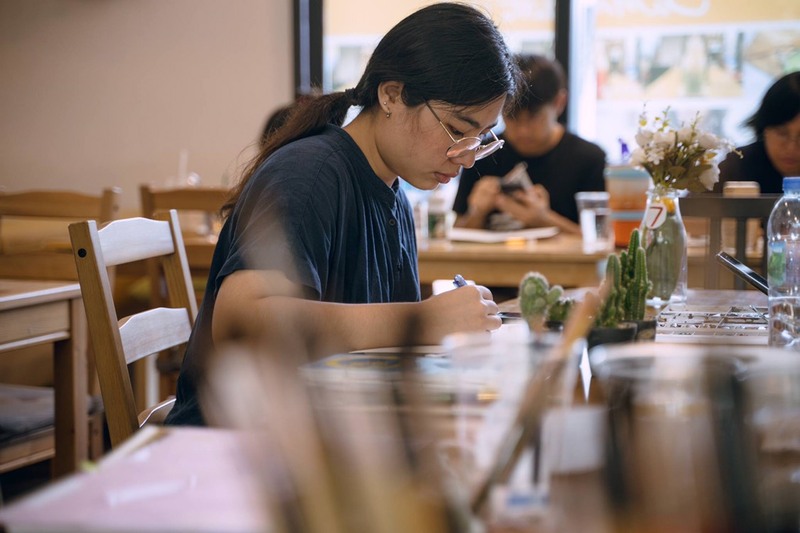 Their hope was to create a peaceful and relaxing environment where employees could explore a wide variety of artistic disciplines, media and techniques on campus. 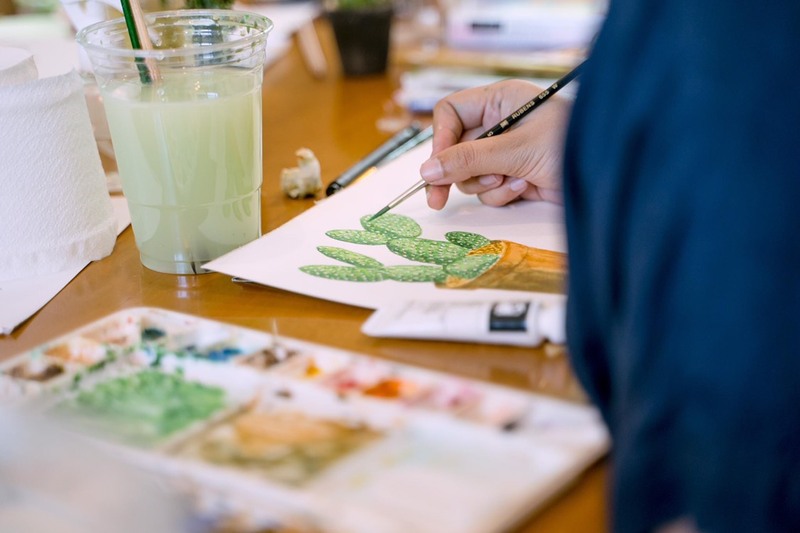 Under Mr. Tamra’s instruction, the participants had an opportunity to relax and unwind, while learning about the craft of watercolor and showcasing their talents. All in all, the evening was a wonderful success. The Art Therapy Club would like to thank Mr. Tamra for sharing this experience with us.